Apple has already provided a solution to iPhone and iPad users to mute their devices at the silence hour. We have seen active use of Do Not Disturb feature across iOS users on daily usage devices, but many asked third-party developers to build something that puts a mute on specific parts of iOS but not every upcoming notification. While Do Not Disturb already provides an elegant way to put things in mute mode, and I daily uses it to avoid distractions while working, but I also believe there should be a tweak that allow me to silent certain features of my device, not the whole device. Here comes the need of an upcoming tweak Convolution. It is currently in beta testing by several beta testers across the world. 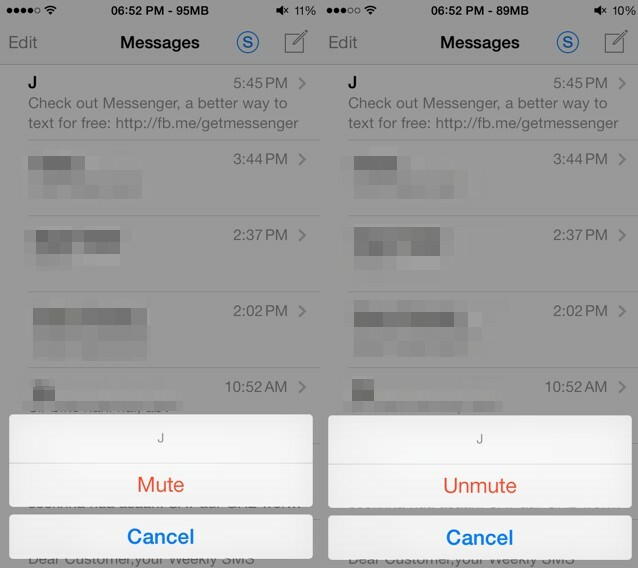 The developer behind the tweak worked on an awesome idea that allow users to mute their SMS messages / iMessages conversations on iPhone and iPad devices. Convolution is a very simple tweak that allows you to put any of your message thread in do not disturb mode. At the moment, Convolution only allows you to mute messages thread, but as its developer mentioned, the upcoming update will allow the tweak to work globally on our iOS devices. Once you installed Convolution, it will ask you to respring your device, and you are ready to go! To mute a conversation on your iOS device, all you need is to open Messages application and tap & hold on a message-thread to activate Convolution menu. 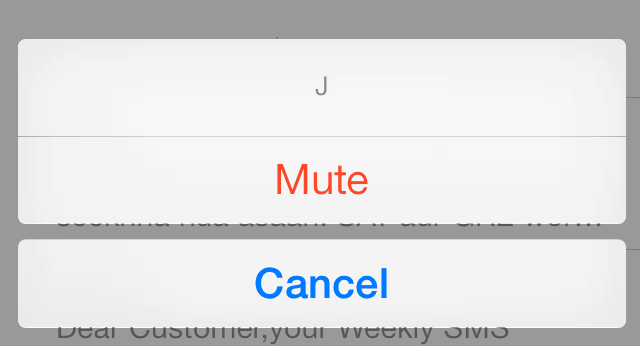 The tweak comes up with a very hidden and elegant menu that allow you to mute / unmute messages conversation. There are currently no words about the proper release of this tweak in Cydia Store, but whenever it goes available, you will be the one to know it.